Presenter Information: Glen Andresen has been Metro’s lead natural gardening educator since 1994. The program offers presentations and information on how to have healthy yards and gardens without the use of pesticides. Glen has been a Master Gardener since 1991. His home garden includes about 40 fruit trees; a row each of raspberries, marionberries and strawberries; plus blueberries, grapes, 15 raised vegetable beds, and honey bee colonies – all on a city lot that measures just 60′ x 100′. If you are interested in harvesting fresh vegetables every month of the year, this class is for you! Learn great planning and planting techniques for growing food year round. This workshop will cover making a planting plan, timing your plantings, succession planting, fall and winter growing techniques, and how to maximize your harvest without a greenhouse. Presenter Information: Tim Lanfri is a Washington Co. Master Gardener and graduate of the OSU Organic Gardening Certificate Program. In addition to being a lifelong backyard food gardener, Tim is the founder of Community Garden Creators, a non-profit dedicated to increasing the food gardening opportunities in the Portland Metro area by working with land owners to develop their unused land into community gardens. We know that putting some effort into improving and maintaining our soil is going to pay off in the long run by reducing our need for additional fertilizers, conserving water, supporting healthier plants and creating a more satisfying experience for us as gardeners. But how do we do it? OSU Extension Service Urban and Community Horticulture Instructor Dr. Pukhraj Deol will talk about research-based, environmentally friendly methods of managing your garden soil and conserving water in your home garden. Deol will discuss how you can apply basic plant and soil science concepts for efficient use of resources to grow high quality produce. Speaker Biography: Pukhraj Deol grew up in Punjab state of India, where she received her Bachelors in Agriculture Science and Masters in Agronomy from Punjab Agricultural University. She was awarded a Ph D in Soil Science from North Carolina State University in 2012 for her research work in the area of Soil Physics. She currently works for Oregon State University Extension Service as a Urban and Community Instructor. Pukhraj is a food gardening enthusiast and loves spending her free time in her community and home gardens in Hillsboro. Learn to Love Weeds in this hands on workshop! In this class we will walk around and ID 3-4 plants easily identifiable and then focus on one plant extensively so that everyone in attendance will have confidence in identifying our chosen “weed” and be able to locate, ID, prepare, eat and make medicine from it. What we see as weeds are just misunderstood and unidentified plant allies; allies meaning they help us! They are strong and nutritious food for our bodies and best of all they are free! Look for wild places that are not sprayed, then you possibly have an abundance of health food at your fingertips. Presenter Information: Jennifer Sylvia is a self taught forager, gardener, medicine maker and teacher of plant medicine. She has been studying plants plants for the last 7 years, graduated from the Elderberry School of Botanical Medicine and has taken many classes on clinical herbalism, foraging, learning to listen to plants and medicine making. Jennifer started her business Backyard Apothecary after discovering a large unused yard full of medicinal weeds and her herbal products can be found at Emerald Forest Herbal Apothecary in Portland. Weeds taking over your garden? Pests eating all of your produce before you do? Diseases running rampant? Learn how to successfully and organically manage weeds, pests and diseases in a backyard vegetable garden. Participants will learn to identify various pests, weeds and diseases and learn the strategies to effectively manage them. This class will cover how to use Integrated Pest Management (IPM) strategies in a small garden setting, and minimize negative impacts to humans, the environment and non-target organisms. Tim will draw from personal experience in his own garden and cover the common problems (and solutions) specific to the Pacific Northwest. In this extensive two part workshop, participants will learn to plan, implement and care for a healthy, affordable, and sustainable garden. Part 1 covers site selection, soil health, raised bed installation, plant families, garden planning and planting. 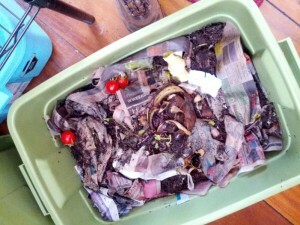 Part 2 covers water efficiency, pest and weed management, harvesting, composting and winterization. Participants are encouraged, but not required to sign up for both parts. Presenter Information: Amy Sidran is a Horticulture teacher at Fort Vancouver High School in Vancouver, WA. She runs a commercial greenhouse and small organic farm on the property. She is a graduate of the University of Massachusetts, Amherst with a degree in Natural Resource Management and Wildlife and Fisheries Biology. She was an Agriculture Extension Volunteer with the Peace Corps in Bolivia from 1999-2000. Later she became an intern with John Jeavons at Ecology Action in Willits, CA learning how to grow biointensively. After leaving Ecology Action she worked on small farms before becoming Assistant Manager of a 20 acre Biodynamic CSA in upstate New York and has since completed her Masters of Arts in Education. She has been the Horticulture teacher at FVHS for the last 6 years. She believes that everyone should know how to grow their own food whether it be in containers on the apartment balcony or in the garden. She now has small diverse farm in SW WA where she is raising her 4 year old daughter along with chickens, pigs, dogs, and sells her produce directly to the community. 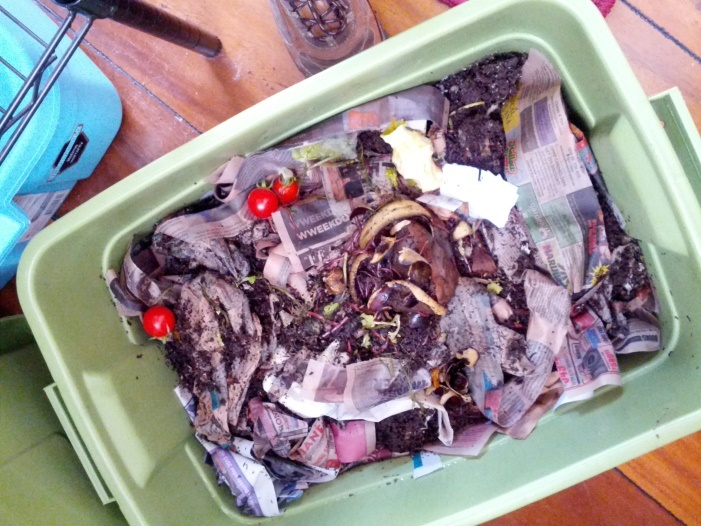 Presenters Information: Sara Howe has been a vermicomposter and gardener since 2010. Gardening in the arid soils of the Utah desert, she ordered her first box of worms from Pennsylvania. Experimenting with over a dozen types of manufactured and improvised farms, she developed techniques and methods for the perfect worm farm. She is the founder of Howe Innovative Design a full service digital marketing agency in Portland, OR. An avid gardener, yet initially a reluctant composter Christy Cushing has learned to love red wrigglers, maintaining and creating farms of her own. She enjoys how easy and rewarding worm farming can be, growing many vigorous houseplants in her floating home using castings and worm tea. Christy is the Marketing Director of Howe Innovative Design. Did you know . . . Most bees don’t sting? Bees are essential for the nutritious and delicious foods we love? Want to save pollinators AND grow more local food? Of course!! Come to this workshop to explore types of bees and bee homes, bee life cycles, fears vs facts, simple care tips to host a pollinator, planting guides. Sweeeeeet prizes too! 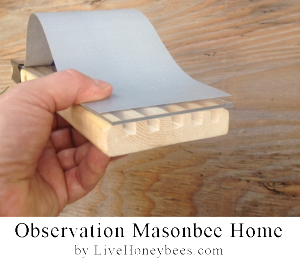 A Masonbee home will be raffled off. All attending will taste local honeys. In this interactive hands-on workshop, participants learn how to plan and plant a vegetable garden using techniques of Square Foot Gardening to yield an abundance of food in small space while reducing time spent on maintenance. Topics covered include crop selection, planning, plant placement, watering and mulching. Presenter Information: Kris Potter is the director of Family Gardening, a volunteer organization whose mission is to provide opportunities for people to learn to grow their own vegetables. She also coordinates Clark County Homegrown Gardens, a project that provides income qualified families with all they need to grow their own vegetables. Come learn the easy old world technique of culturing vegetables naturally. Working with wild bacterias, we will talk about and demonstrate how to safely preserve your summer harvest for winter salads and condiments. Each participant will have the chance to make a quart of sauerkraut to take home, tend and enjoy later. Presenter Information: Tressa Yellig is the executive chef and owner of Salt, Fire & Time. She is a graduate of the Natural Gourmet Institute for Health and Culinary Arts in New York and specializes in a variety of health supportive cooking styles, but mostly advocates the Weston A. Price Foundation’s nutritional philosophy of traditional fats, sprouted grains, pastured meats, raw dairy and fermented foods. She apprenticed under the worker-ownership of Three Stone Hearth in Berkeley, CA, the first community supported kitchen of its kind. John Carr of TheGardenCoop.com is opening his backyard in SE Portland for this workshop on how to design and build a secure, happy home for your hens. The two-hour session will cover what chickens need in a coop, various coop styles (with a walk-in, chicken tractor, and stand-alone coop on hand), building materials, and tips on how to incorporate your coop and flock into your home garden. Presenter Information: John is a writer, gardener, chicken keeper, DIYer, and a big fan of Growing Gardens. He’s also the designer of The Garden Coop, The Garden Ark, and The Basic Coop urban chicken coop designs and author of the blog Coop Thoughts. Learn how to prepare your garden for winter and what to do this fall to make your garden healthy for next spring. Participants will learn about planting cover crops to build organic matter and fix nitrogen, sheet-mulching to expand your garden space and setting up cloches to protect your cold-hardy crops through the winter. For this workshop we have purchased bulk row cover, hoops and clips and will be offering these supplies at-cost (~$10 per 4’x8′ bed) for workshop participants. year. 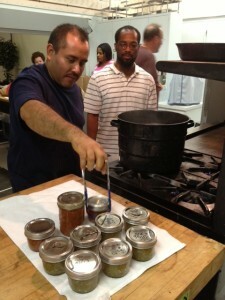 Learn canning basics in this hands-on class where we make dill carrot pickles. Each participant will get to take home a jar of pickles, and we will also sample a variety of pickled goodness that will hopefully inspire your next pickling adventure! Presenter Information: Bonny Cushman is an avid gardener and canner. Bonny first learned to can from her mother and grandmother, and can be found in the kitchen most summer and fall weekends making something delicious to “put up” in the pantry or use as gifts throughout the year. She’s volunteered with Growing Gardens as a mentor and now is trying her hand as a canning teacher. Harvesting season is at its peak! Its time to reap the fruits and vegetables of our labors in the garden. Ian Wilson, of Portland Edible Gardens, will give demonstrations, tips, times and techniques on harvesting garden vegetables, and how to store them so that they stay fresh longer. Join us Thursday August 21st to learn how and when to harvest vegetables to get the most out of your garden this season. Presenter Information: Ian Wilson is a Portland native who has worked on farms, gardens, and orchards in Vermont, Oregon, Hawaii, and Argentina. He attended the acclaimed Organic Farm and Garden Apprenticeship Program at UC Santa Cruz, where he received an Advanced Certificate in Ecological Horticulture. Ian launched Portland Edible Gardens in 2013 after talking to one too many people who wanted to grow their own food but didn’t know what to do about it. Learn the ancient art of saving seeds in this hands-on workshop held at one of Portland’s oldest and most established urban Permaculture gardens. Each participant will get to collect unusual and interesting varieties of seeds to take home with them. Presenter Information: Connie Van Dyke is a master of self sufficiency and grows a large percentage of her food, year round in her urban Permaculture garden. Connie has been an instructor at Portland Community College for 16 years. Inviting people to come to her urban garden she shows them ways to close the loop and be more self-reliant. Courses like urban farming, permaculture, rug making, weaving, medicine making, natural dyeing, canning raising meat in the city and seed saving show students how to get their needs met without money. She gleans, barters, wildcrafts, and grows most of her daily needs. Healthy soil is the foundation for a healthy garden and key for growing vegetables that are pest and disease resistant, taste better and are more nutrient dense. This class is geared towards beginning gardeners and will cover how to maintain your soil to assure the health of your plants. Presenter Information: Heather Havens has a B.S. in Agriculture from OSU, and she is General Manager and a shareholder of Concentrates, Inc. In Milwaukie, OR. Heather has been helping Pacific Northwest farmers and gardeners with organic and natural soil, garden and farm management for over 20 years. During this hands-on workshop, participants will be planting seedlings to be transplanted for a winter garden. We will plant: mustard, collards, broccoli and kale. Our presenter, Kathy Katz, will also bring bent pipes, row cover and a soil blocker to show everyone what they are and how they work. These season extension techniques will help you grow produce into fall and overwinter for spring. Presenter Information: Kathy Katz is a local grower who has for the past 25 years been studying small scale/intensive food production models and learning to incorporate them into her own operation. She has spent many years supporting and volunteering for non-profit organizations because she feels it’s important to get nutrient dense food to everyone in our community. A longtime contributor to Growing Gardens programs and supporter of their mission to teach the important skill of growing your own food. Currently Kathy is running a small seedling operation, mentoring new gardeners, helping with a few local school gardening projects and working on returning to the small farm her family owns.